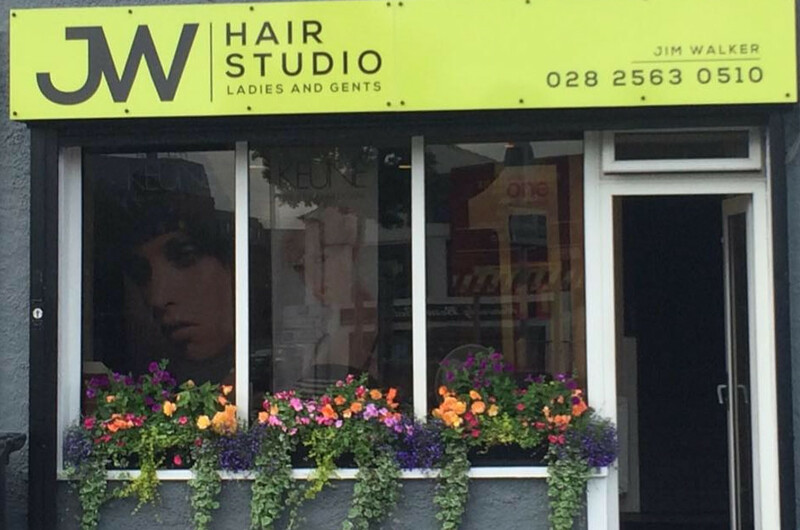 Jim Walker Hair Studio is one of Ballymena's most established salons. We cater for all ladies, gents, teenagers, children, senior citizens and of course complete families. 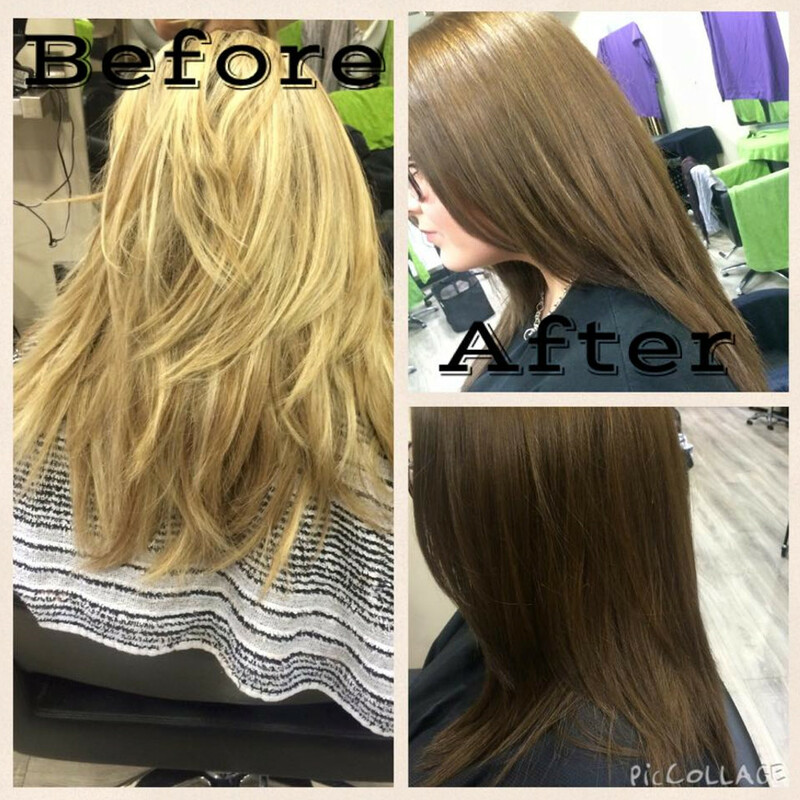 We offer hairdressing services with our design experts and colour and perming technicians. Our cutting and design techniques are all regularly updated. We are dedicated to providing an outstanding service with the highest quality hairdressing to all our clients, in a warm and friendly atmosphere. We hope your visit to the salon will give you an insight into what services we provide with a dedicated team to welcome you. Both my mum and I go to Jim to get our hair cut and coloured and what a great job he does. Great professional service and knows exactly what he’s talking about with regards to what will work and what won’t! Definitely a credit to his business and to the industry. First class salon, first class treatment always - Would highly recommend the salon!! Fantastic results every time, Jim and his staff are brilliant, friendly professional service and great atmosphere in the salon, would highly recommend ,so if you have tried the rest it's time you tried the best! I have been going to Jim Walker's salon for more years than I care to remember and I have never been disappointed. I never get bored as I have had so many styles and colours thanks to the talent and expertise of the staff (especially Kerrie) who are also friendly and welcoming. I can't imagine going anywhere else. Jim Walkers has been my families go to salon since I was a little girl. Jim and his team have been with me through all my stages, colours and cuts. They are constantly inspiring me to try new things and giving me amazing ideas. They always ensure they do what's best for me, being honest about what suits me and doing everything to the highest quality. I thoroughly recommend Jims salon. Jim and his team, with special mention to Kerrie are incredible. I've been going to Jim Walkers for over 20 years and have never been disappointed. It's always a pleasure to go to have my hair done. Jim always knows what's right for me at the right time. Together we've been through many hairstyles and colours. Jim and his staff have always been encouraging but most of all honest with their advice. I say to Jim when I'm looking for a change of style or colour - 'my head is in your hands' and I've never been disappointed. Jim's salon is always spotlessly clean and the staff from trainee to senior stylists are very professional and exceptionally friendly. It doesn't matter if you're a new customer or a long standing one you'll always receive the best of treatment in the friendliest way. Put your head in Jim Walkers Salon hands - you won't be disappointed. I certify that this review is based on my personal experience of Jim Walker Hair Studio and is my opinion. I have no business or personal link with Jim Walker Hair Studio and have not been offered payment to write this review. By providing these comments you give Good Salon Guide permission to review and publish this information. Good Salon Guide reserve the right to edit comments for length, spelling or clarity where appropriate. As part of this appointment request Good Salon Guide will record your name, email address, telephone number and appointment details. This information will be passed to Jim Walker Hair Studio by email, through the Good Salon Guide app and over the telephone. This data will not be shared with any other companies and we will manage your data in line with your preferences below.